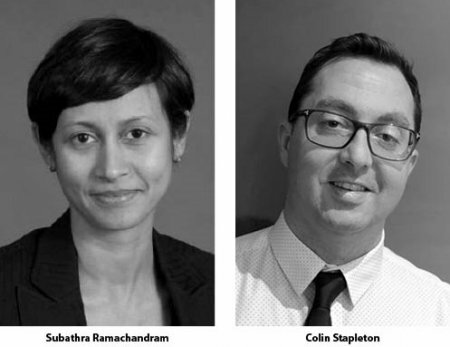 Subathra will be joining our Transactional Due Diligence team in Brisbane, which specialises in providing expert advice to our clients, specifically in regard to environmental risks associated with transactions and asset risk management. With over 16 years of experience in project and program management, local and state government liaison, flood study investigation, dam failure impact assessment and coastal hazard adaption strategies, Subathra brings an extensive and broad range of services to the team. Colin joins our Waste and Resources Management team based in Melbourne, and has over 14 years of experience specialising in landfill and waste environmental projects in both the private and public sector. A strategic thinker with a focus on regulatory compliance, approvals and environmental assessment projects, Colin’s expertise will be beneficial across multiple service lines at SLR. This announcement follows the senior advisory appointment of Technical Director Anthony Lane earlier this year.